In our real estate agency we want to try to surprise you through one of the apartments for sale in Guardamar del Segura that we offer. Entering our catalog of homes, you can take a look at a select range of apartments, built so that their owners do not stop enjoying it. We have newly built or resale apartments in Guardamar. Two different models of properties that you can access, depending on your objectives. Our properties are fabulous. So much so, that some of our apartments keep the initial uniformity. Modern and high quality apartments. The advantages offered by our apartments are many. Its main benefits are climate, beaches and views. 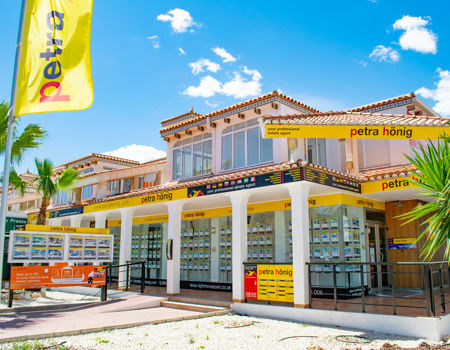 First of all, if you decide to trust the services of Petra Hönig, you will have the fortune to live in a city where the sun is the maximum climatic protagonist. This fact will allow you to enjoy your home without worrying about bad weather. Its beaches are wonderful areas covered with soft sand and crystal clear water. In them you can have fun sunbathing or bathing. Finally, some of our properties have spectacular views of the sea so you can wake up every morning with energy and enthusiasm. One example of one of our incredible apartments for sale in Guardamar del Segura is a newly built property. A modern house full of surprises. The apartment offers 2 bedrooms and 2 bathrooms. The property has a spacious pool so that your loved ones can decide between bathing in the sea or in this wonderful pool. The house offers 70 m2, an ideal figure to live as a couple and together you can find happiness and harmony in this wonderful city, such as Guardamardel Segura. If you are interested in receiving or knowing more detailed information of our apartments for sale in Guardamardel Segura, you just have to follow the steps below. 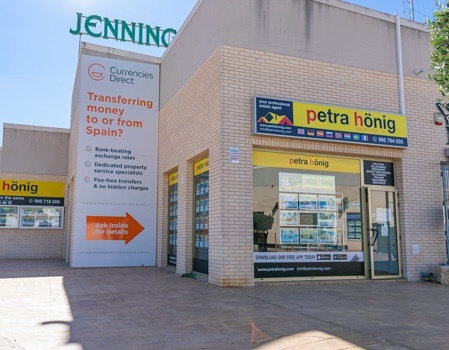 On the one hand, you can come to our office in Guardamar, located in the Euro-Terra Shopping Center, Plaza de la Figuera 1- Local 7, 03140 Guardamardel Segura. You can receive that information you need by phone number. Call us at (+34) 966 716 019. 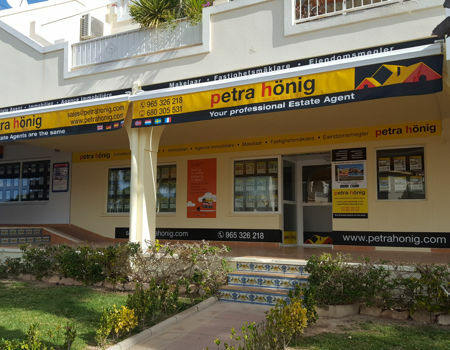 Finally, you can contact our real estate agency by sending an email to our email: info@petrahonig.com.